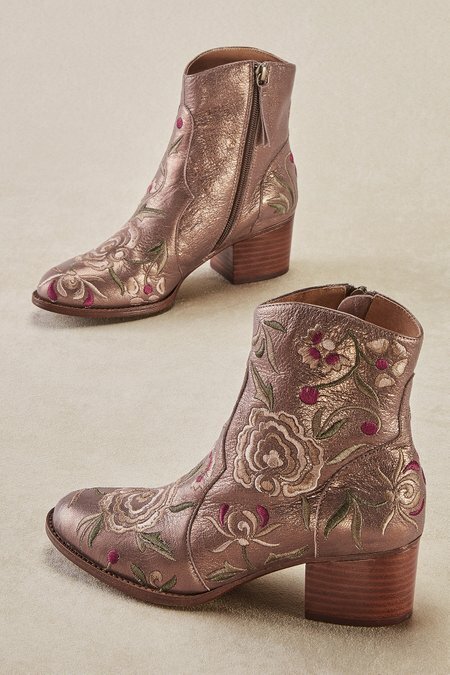 Embroidered floral motifs bring legendary European artistry to these elegant booties in smooth blue or glistening metallic leather. A sculpted vamp accents the sleek silhouette, designed with a side zipper, leather lining, almond toe, stack heel and man-made traction sole. 2-3/4" heel.